Silestone® | R &D Marbles, Inc.
Silestone® by Cosentino, a Spanish corporation, is known as the world’s leading producer of quartz surfaces for kitchens and bathrooms. One of Cosentino’s most important brands is the Silestone® line of bacteriostatic-bacterial inhibiting-quartz countertops. Silestone® was created in 1990 as an enhanced natural stone product. The improvements gave the developers well-deserved attention and appreciation of both design professionals and end users. This product has proven so successful that it has been made a category all of its own – bacteriostatic quartz surfaces and countertops. Because of its unique properties and enhanced characteristics, Silestone® provides its users with a unique product which automatically makes them the owner of a one of a kind surface. This beautiful stone has been usurped by the world of architecture and interior design as the pinnacle of innovation and stylishness. Interior design and architecture professionals have selected Silestone® as their first choice in more than 50 countries. As the market leader in bacteriostatic quartz surfaces, Silestone® continues to improve its product for use in both public and private building projects. 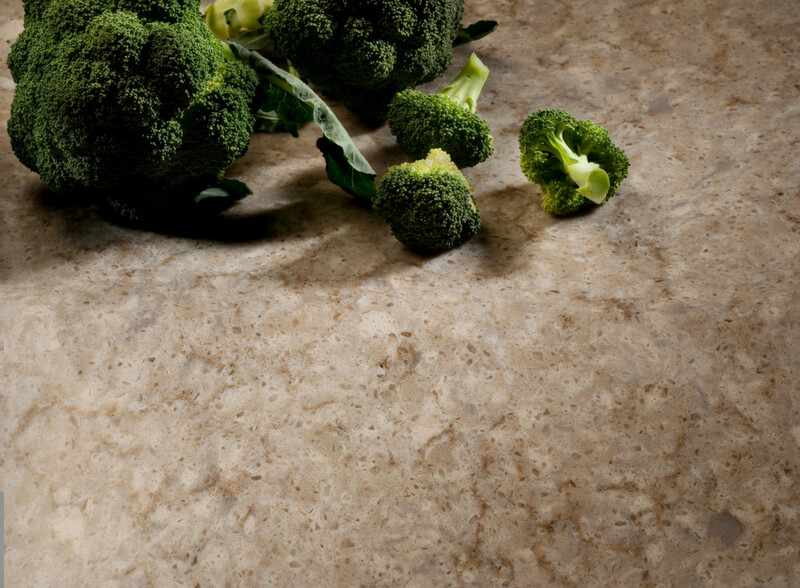 Silestone® is a treated natural quartz surface designed to decorate stylish kitchens and baths. As the only countertop with antimicrobial protection, it also appeals to the decorator and interior designer with a variety of colors and textures. 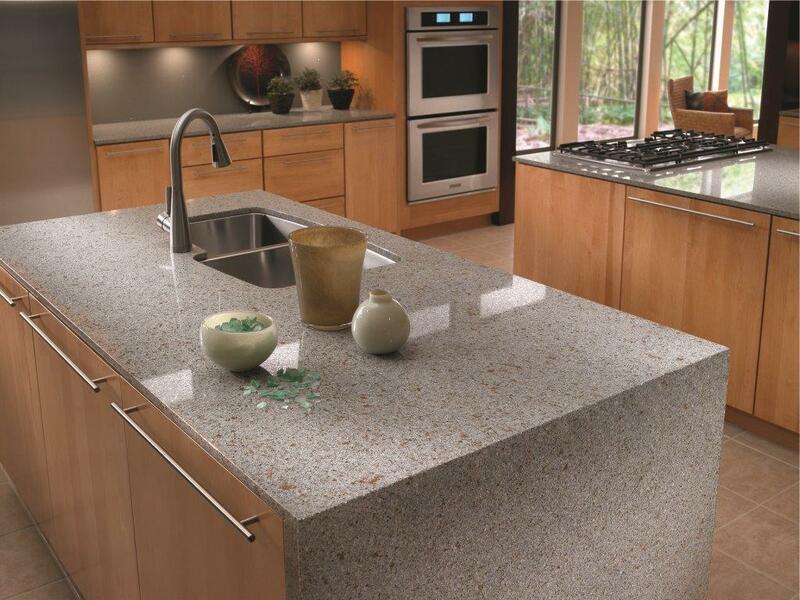 Silestone® begins with 94% natural quartz, which makes it extraordinarily hard and resilient. The antimicrobial in this material gives it hygienic properties that are not available in the competitive surface market. Silestone® is the right choice for your kitchen and bath countertops, floors and walls. It comes in a variety of colors and decorative options from a single kitchen countertop to entire home projects. Quartz is crystallized silicon dioxide (SiO2) and it is typically white or transparent. If quartz is formed with impurities, it will absorb color from these impurities. 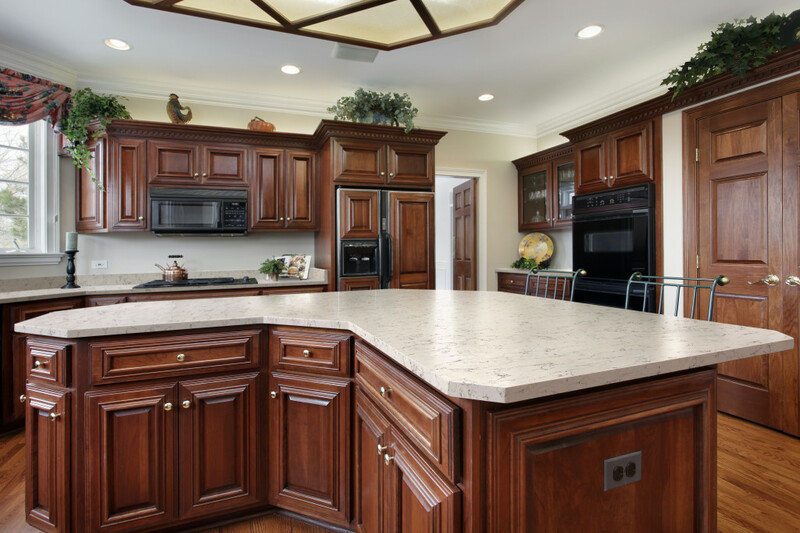 Because of quartz’s extreme hardness and its resistance to acids, quartz is used to make a variety of products requiring precision and durability. This is one reason why quartz is the main ingredient in Silestone®. Exclusive textures: Silestone’s original finish was expanded, with a new look and feel named Silestone Leather™. The inspiration for Silestone® Leather was the matte, smooth texture of natural leather that has been incorporated to give the stone the appearance of leather and the durability that has always been Silestone®. Color and depth: When Silestone® was introduced over 20 years ago, it had 12 colors, today there is a color palette of more than 50 colors. We have designed each new color to be appealing while blending with current trends in fashion and design. This beautiful stone offers a wide array of optional hues allowing you to select the depth of color which supports your design choices. The color design options range from a single color process which gives a consistent look, to the three-dimensional color process for added depth. For even more richness, the exclusive five-dimension color process provides an even greater degree of color alteration. Colors vary from very subtle neutral tones to almost brilliant dynamic tones. Pattern and composition: Silestone® is also produced in a stylish variety of patterns beginning with solid patterns and moving on to variegated color selections. This surface displays movement and contains varying sizes of quartz gemstone particulates and other enriching ingredients. The ability to add a variety of compositional components provides almost endless possibilities. Enhancements, such as glass and mirrors displayed in the Stellar Series, or large grains of quartz in the Mountain Series or the sanded mirrors in the Cielo Series adds a variety of compositional components. Regardless of where you begin your design will be as new and unique as your imagination. Usefulness: This stone offers an amazing degree of application possibilities. While it is ideally suited for kitchen countertops, Silestone® is also exceptional when installed as a bathroom vanity. It’s great for table tops, floors, and shelving. This material is excellent as a backsplash, shower walls, and other wall coverings – giving you the power to continue reinventing your spaces. You can use it in commercial designs and installations where a low maintenance surface that looks like new for a long time is required.